Producers are members in this co-operative social enterprise called Country Makets, which is organised into local co-operative societies registered under the Co-operative and Community Benefit Societies Act 2014. 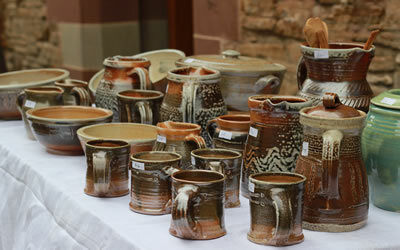 Membership is open to anyone over the age of 16 with suitable home produced items to sell. All Country Markets are run co-operatively. Members do not have their own individual stalls, all goods are put on sale together by type, like with like. There are no minimum quantities and no commitment to producing every week. Members are required to take some part in the general running of the market. Members are paid each month for the sale of their goods less a small commission to cover running costs and insurance. As a producer you will have an organised market place with a regular customer base at minimal cost plus the support of a nationwide organisation to ensure legislation is complied with and standards maintained. If you are interested in becoming a producer come into the Market and have a chat with our Market Manager. 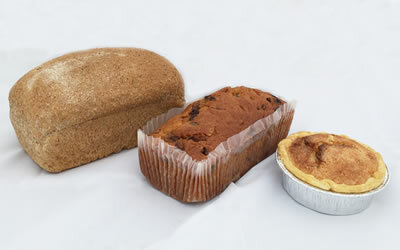 We offer sweet and savoury baking including cakes, biscuits, bread, pies, pasties, flans, charcuterie and ready meals. We have an incredibly wide selection of chutneys, jams, marmalades, honey and free range eggs to choose from. Everything that we have on offer is produced by local people with a love for cooking and producing great quality food. The craft department is home to a variety of locally produced items including cards, decorative objects as well as more functional and practical everyday items all produced by hand with loving care. We also have occasional guest producers selling own reared sheeps wool products, home thrown pottery and beeswax candles complete with wood turned holders. 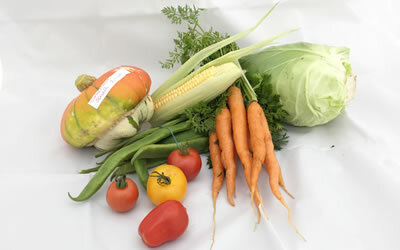 We sell an assortment of our own grown fruit and vegetables, herbs, cut flowers and plants. We also offer a wide selection of top quality hardy perennials, annuals and shrubs, all sold complete with advice on the plants requirements. In spring the market is busy with customers buying our large selection of vegetable seedlings so they can grow their own. Ledbury Country Market is part of the nationwide organisation, Country Markets Limited, and also a member of the Herefordshire Country Markets Society Limited. Such a wonderful place. Fresh food, cakes, pies, vegetables. Can't fault it. Love it. Lovely coffee and biscuits. Great service with a smile as always. Excellent eggs- I eat two per day! Delicious tea and scrummy biscuits. Arrive as early as you can and enjoy the wonderful display of sparklingly fresh produce, flowers, vegetables, cakes - all SCRUMPTIOUS! Lovely jam! A pleasure to find such good home made produce. Thank you.